Each centre can have their very own profile allowing them to show their centres details such as contact information, logo & Google map. 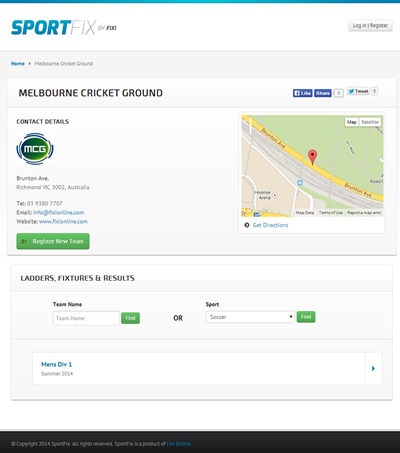 Players are also be able view all fixtures, ladders & results that you sync to the web from here. In addition, your customers will be able to register online through SportFix – collecting team and player contact information along with a nominal registration fee. You can read more about SportFix on this blog post.